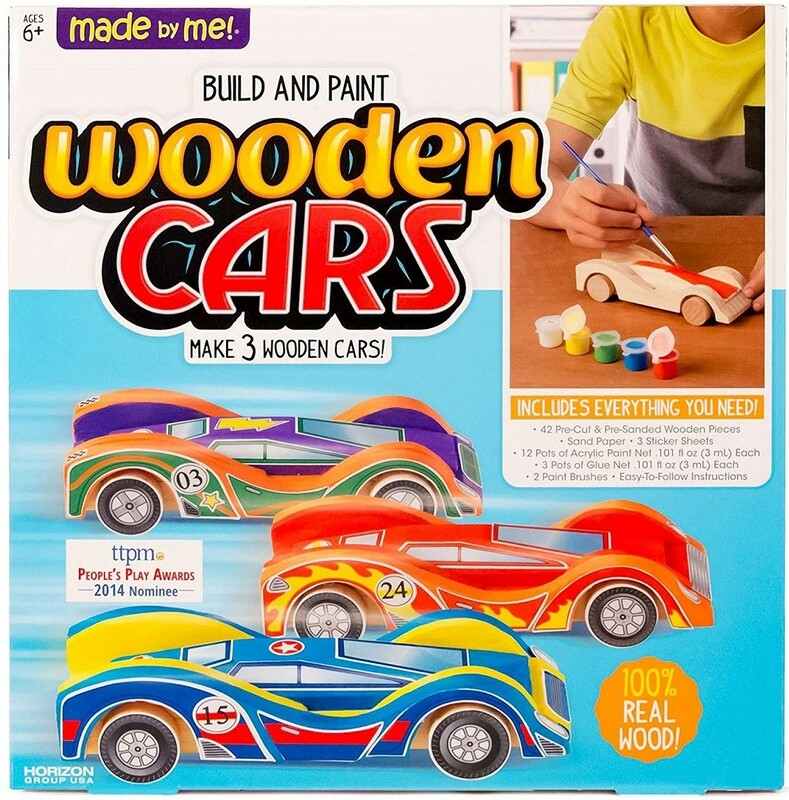 Design three dream race cars from the ground up with the Made by Me Build and Paint Wooden Cars Kit! 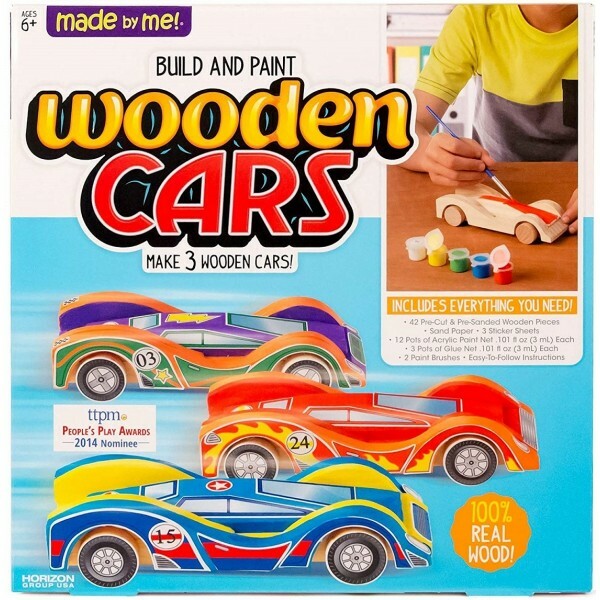 Build your cars with pre-cut wooden pieces and embellish your creation with assorted paint colors and decals for cool finishing touches. Line up your car with your opponents and see whose car goes further once you attach the working wheels! 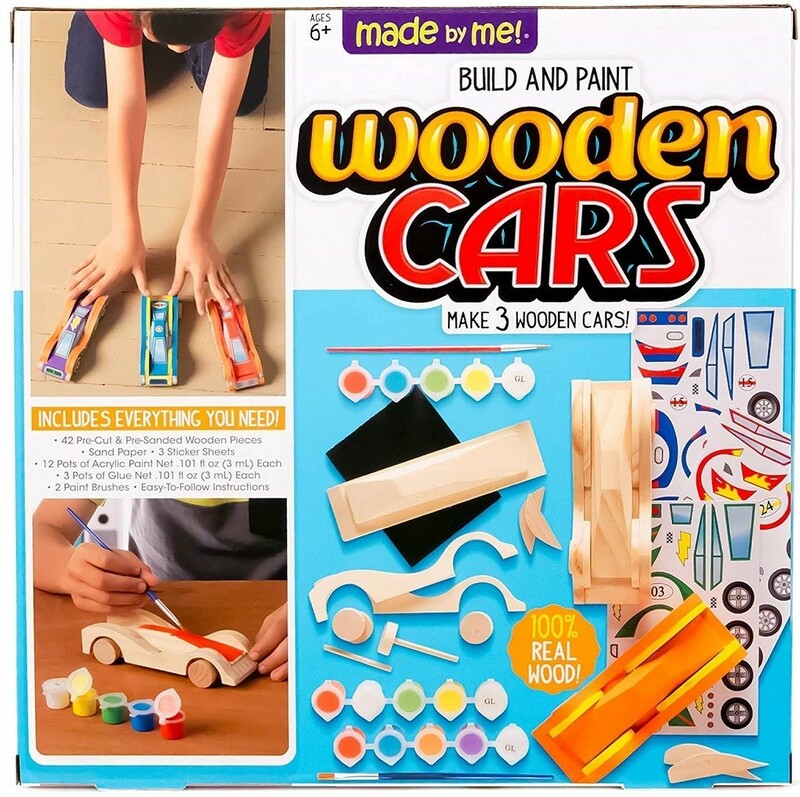 All the materials you need to build and design 3 cars are included.